Q: How is it given? 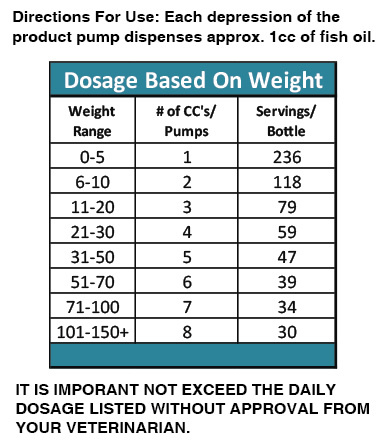 A: HardyPet Premium Fish Oil is a liquid product which is dispensed through a precise dosage pump on top of the bottle. Most dog owners dispense the fish oil on top of the dry kibble or wet dog food they feed their dogs. Owners feeding a raw food diet typically dispense the product into the meal they are preparing. Incorporating HardyPet fish oil into a dry kibble works very well for dogs that have a decreased appetite or do not usually like dry dog food. A: Giving your dog a food with a fish protein is great option for m0st dogs. Because most dry dog foods are made using very high heat and pressure, the EPA/DHA from the fish is usually "cooked out". 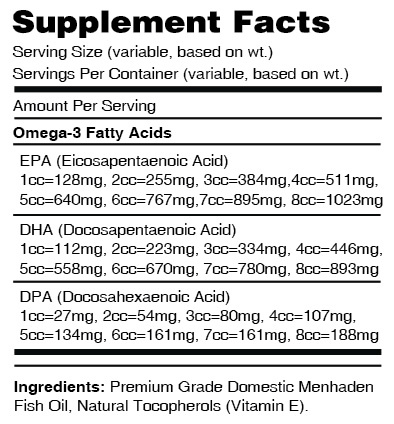 Adding a fish oil in liquid form to your dog's diet is important to give them the known benefits of EPA/DHA.